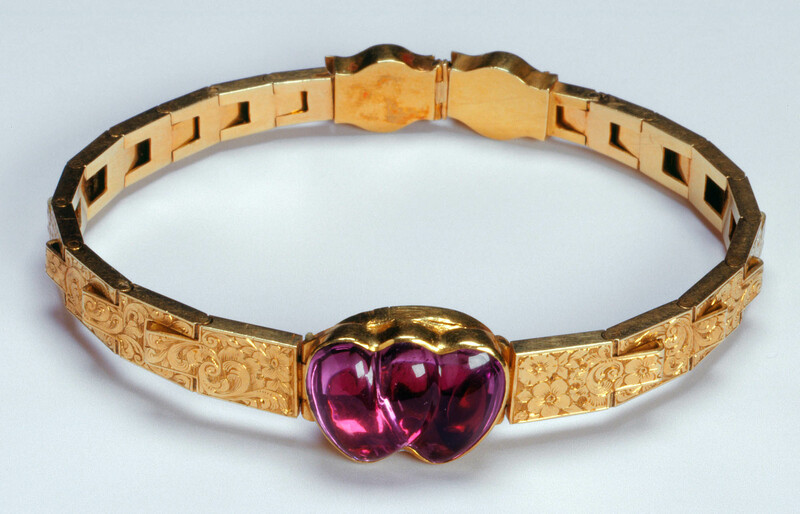 This gold bracelet was given by the Duchess of Kent to Queen Victoria on the day she announced her engagement to the Privy Council. This was one of a group of jewels placed in the 'Albert Room' at Windsor Castle after the Queen's death in 1901. This was the room in which Prince Albert died in 1861 and the Queen left instructions for a specific list of personal jewellery to be placed there and not passed on in the family.